LED or CFL bulb only! 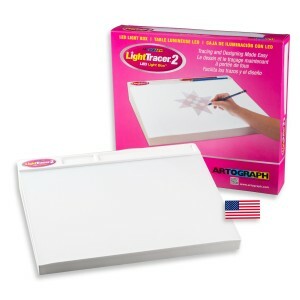 The EZTracer® easily enlarges any design or pattern from a 4 x 4 inch / 10.2 cm x 10.2 cm copy area onto a wall or easel from 2 to 10 times enlargement. Projected image can be easily traced and colored as desired. No set up necessary and simple to operate. UL approved. One year warranty. This entry was posted in Projectors, Tracer Series and tagged EZ Tracer, projector, Tracer projector on April 8, 2014 by Artograph.